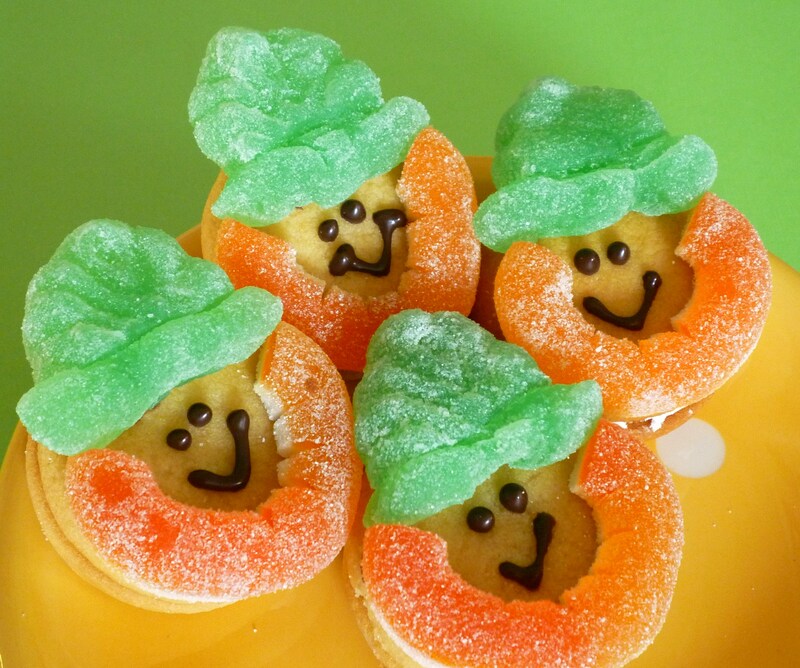 Faux Cupcakes … a no-bake treat. 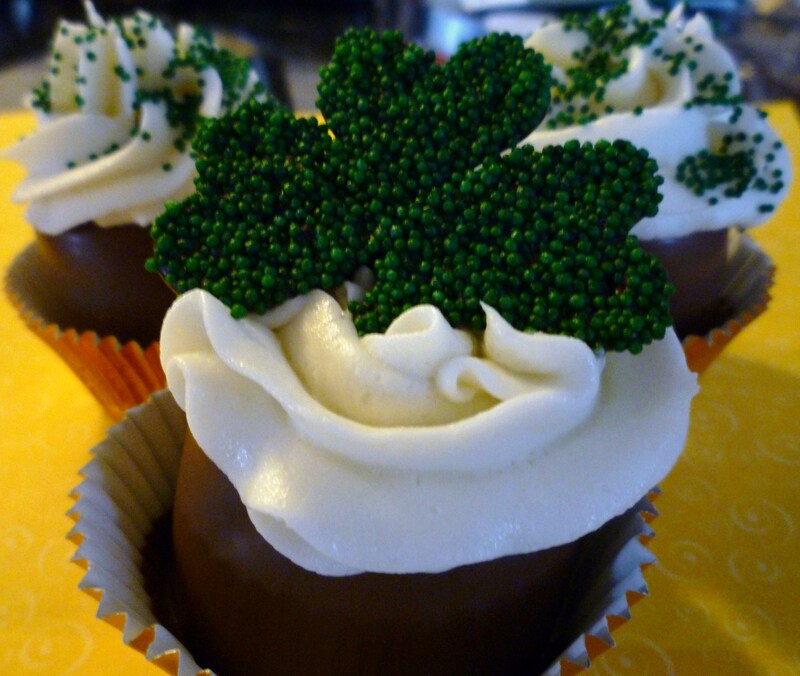 Gold at the End of the Rainbow Cupcakes … sorry it’s not real gold. 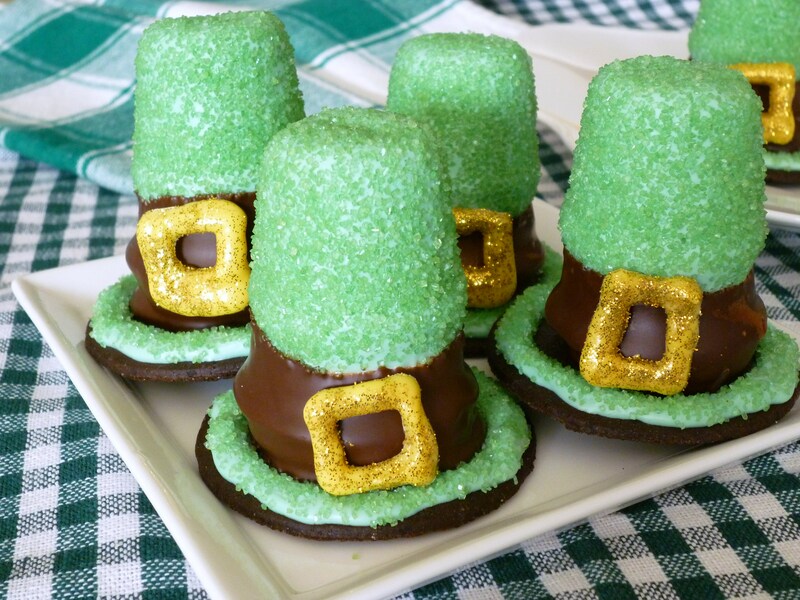 Leprechaun Cakesters … a very simple treat to make. 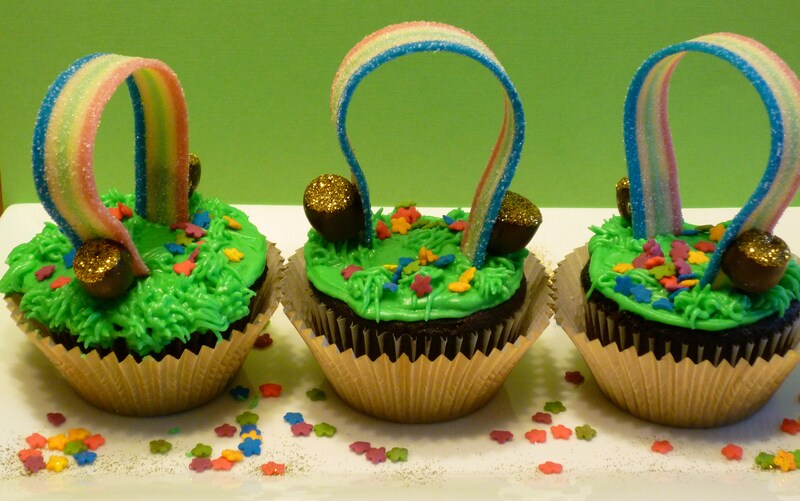 Leprechaun Hat Cupcakes … guess where the cupcake is hiding! 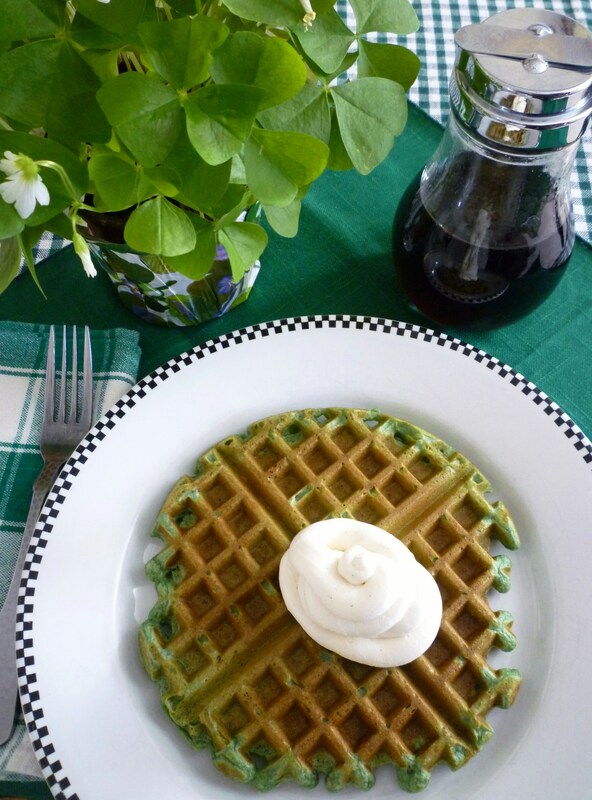 Green Velvet Waffles … for Saturday morning breakfast! 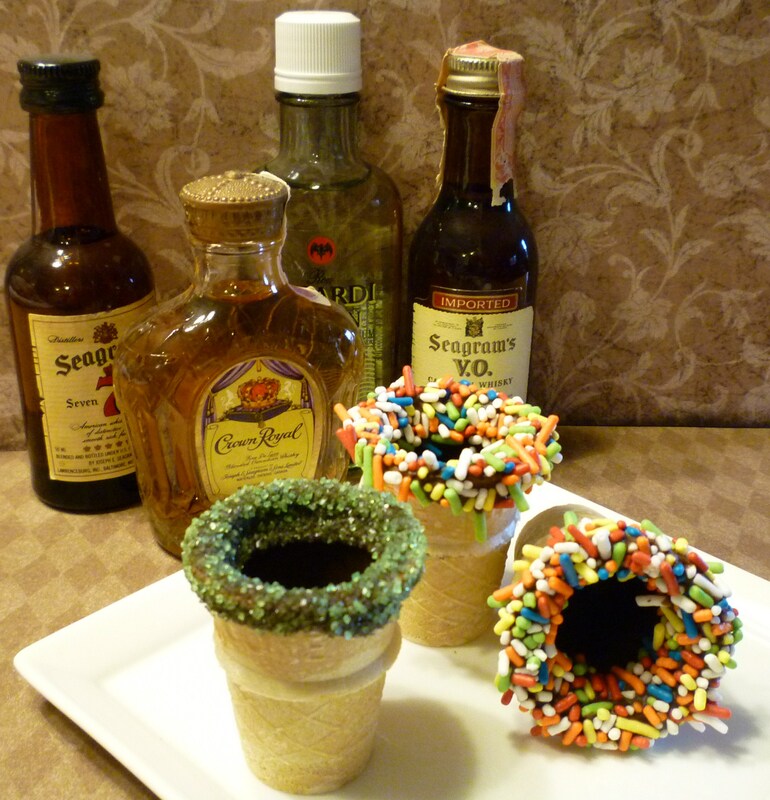 Edible Shot Glasses … for Saturday night’s party! For me here, where I live on this earth, is already Saturday. Therefor, happy happy St. Patricks Day to you all and thank you for sharing all those wonderful SSS-Ideas with us.